"We actually finished our chances off today. We controlled the game really from the start, I felt. We never really looked in too much trouble in all honesty. I think they possibly had one or two shots on goal in the 90 minutes. "I just thought we played with real control. We passed the ball well when we needed to, showed some good composure on the ball, and I felt as though our front four were a threat all game - certainly the two strikers. Gary [Alexander] and Billy [Kee] linked well again. "It was nice to actually come here and put away the chances and we scored more than one goal, which, I don't know whether it was a first, but we haven't had too many this season. It was really pleasing." Match ends, Burton Albion 3, Hartlepool United 0. Second Half ends, Burton Albion 3, Hartlepool United 0. Attempt saved. Jack Barmby (Hartlepool United) right footed shot from outside the box is saved in the top centre of the goal. Hand ball by Marlon Harewood (Hartlepool United). Substitution, Burton Albion. Michael Symes replaces Billy Kee. Lee Bell (Burton Albion) wins a free kick in the defensive half. Goal! Burton Albion 3, Hartlepool United 0. Lee Bell (Burton Albion) from a free kick with a right footed shot to the bottom left corner. Substitution, Burton Albion. Matthew Palmer replaces Robbie Weir. Corner, Hartlepool United. Conceded by Callum McFadzean. Substitution, Burton Albion. Marcus Holness replaces Shane Cansdell-Sherriff. Attempt missed. Shane Cansdell-Sherriff (Burton Albion) header from the centre of the box misses to the left. Corner, Burton Albion. Conceded by Scott Harrison. Substitution, Hartlepool United. Jack Barmby replaces Jonathan Franks. Attempt saved. Billy Kee (Burton Albion) right footed shot from outside the box is saved in the top centre of the goal. Attempt missed. Billy Kee (Burton Albion) right footed shot from the centre of the box misses to the left from a direct free kick. Attempt missed. James Poole (Hartlepool United) header from the centre of the box misses to the right. Corner, Hartlepool United. Conceded by Dean Lyness. Corner, Hartlepool United. Conceded by Lee Bell. Attempt blocked. James Poole (Hartlepool United) right footed shot from the centre of the box is blocked. Goal! 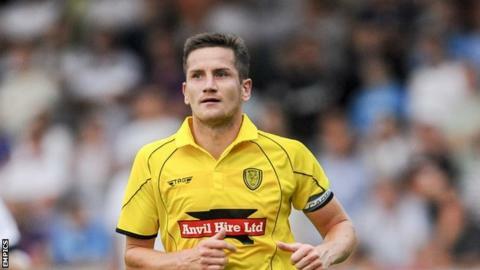 Burton Albion 2, Hartlepool United 0. Jimmy Phillips (Burton Albion) right footed shot from outside the box to the top right corner. Assisted by Robbie Weir. Lee Bell (Burton Albion) wins a free kick in the attacking half. Hand ball by Simon Walton (Hartlepool United). Simon Walton (Hartlepool United) wins a free kick on the left wing. Corner, Burton Albion. Conceded by Simon Walton. Attempt blocked. Gary Alexander (Burton Albion) right footed shot from the centre of the box is blocked.